Why was the performance of Islamabad’s property market relatively slow in April? Have you ever heard of how too much of a good thing isn’t always beneficial? Well, perhaps Islamabad’s real estate sector is a vivid illustration of this concept. In terms of performance, the federal capital lagged behind Lahore and Karachi in April 2016. Even though the beautiful city is home to several awe-inspiring real estate projects and this property market has immense potential, this was not reflected in the statistics in Zameen.com’s monthly market report, which will be out in a few days (to get a thorough, colourful paper copy of this data-centric report, please subscribe to Zameen.com Magazine). As Islamabad’s sluggish growth is an anomaly that has just been observed over the past 2-3 months, it deserves some attention. After speaking to several sources and informed agents, a few key reasons for Islamabad’s tortoise-paced acceleration have been revealed. Obviously, prices accelerate with the pace of investment activity. Buying and selling activity in the federal capital has been somewhat slow over the past few months. This can majorly be attributed to the fact that there are several other promising projects in Lahore and Karachi have significantly grasped investor attention. According to Homes Platinum Real Estate & Developers Maroof Qureshi, most of the buying and selling activity in Islamabad occurs in Bahria Enclave or Bahria Town’s Phases I – IX (Rawalpindi). However, as the focus is currently on Bahria Town Lahore and Bahria Town Karachi (BTK), investor interest has significantly dwindled and many prominent investors have funneled their money into BTK, in particular. This is clearly reflected in Bahria Town’s growth statistics this month which specify that Bahria Town Islamabad’s 1-kanal plots saw a 0.38% dip, while 10-marla plots only increased by meagre 0.32%. However, Bahria Town Islamabad has not lost its potential as a lucrative investment locality, and the society is currently attracting genuine buyers rather than investors. Qureshi also said that revealed Lahore generates approximately 75% of the real estate activity in Punjab while Islamabad is currently only catering to 25% of this massive province’s market. Moreover, many of Islamabad’s real estate options matured and prices have already reached their peak in several sectors. Many projects are developed by the Capital Development Authority have little or no room for growth left. 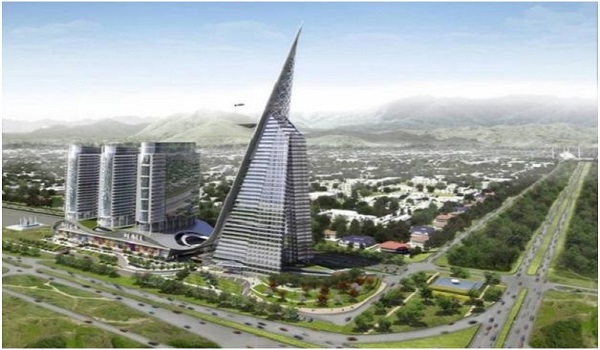 However, it is also worth noting that there are upcoming projects in Islamabad that are creating quite a buzz amongst investors and are expected to perform well in the future. One of these is DHA Islamabad, which has drawn decent investor interest in the past few months. The 1-kanal plots in DHA Islamabad observed a controlled rise of 1.43%, while 10-marla plots in the locality experienced a controlled rise of 3.12%. According to Qureshi, localities near the new Islamabad Highway and the New Islamabad International Airport have immense potential to increase in the future. However, prices in societies close to the highway will only accelerate as development work picks up pace. Nevertheless, things do not look bleak for Islamabad overall and the city’s real estate sector is likely to correct itself in the next couple of months or so. Qureshi mentions that he expects a rise of approximately 5% to 10% in the near future. Perhaps investors are awaiting the Annual Budget 2016/17 before making concrete decisions right now. That is right around the corner, so we will know soon enough. What do you think about the federal capital’s property market? Let me know in the comments section below!